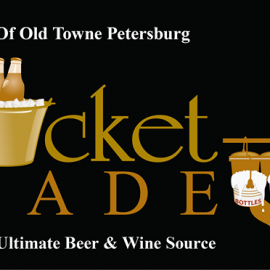 The Tri-Cities ultimate beer and wine source in the heart of Old Towne Petersburg. 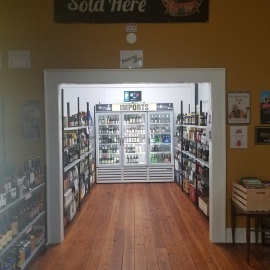 We are your one stop shop for craft beer, wine, growlers and more. Featuring the best local, imported and national brands of beer and wine. We are your source for craft, wine and beyond in the Tri-Cities! What does that name mean?? Before Prohibition and before bottles and cans became widespread, if you wanted beer outside of a bar it was put into a bucket. The buckets of beer were then taken to the thirsty by "bucket boys", usually carrying several on a pole. This process was called the "bucket trade". This eventually led to the "growler" which we know and love today.